My goal is to help my clients buy or sell their homes at the right price in the right amount of time. I hope to make the process as stress-free as possible by applying the latest technology to meet my clients' needs whether they are local or relocating. Communication is huge so I communicate regularly in person, by phone, text, or email; whatever is easiest for my clients! I have helped hundreds of home buyers find their home Camden county. Giving back to the community is very important to me, that is why I serve on the Board of Directors for the local Salvation Army. www.movingtokingsbay.com is my personal website where you will find my current listings, a search engine for homes in the area, and many other tools to help you find a home perfect for you. Awesome experience. So glad l had her representativing us for this stressful time made it much easier. Definitely a A+. I recommend her and there business anytime. Nicole is HANDS DOWN the best realtor we could have ever worked with. She helped us buy our house and then 9 years later helped us sell that same house. Both times we spent the majority of our time working with Nicole from outside the Kingsland/Saint Mary's area and she was responsive, professional, and knowledgeable. Nicole has a VAST network of resources and is a very valuable person to know, after we bought our home she was amazing at referring us to providers of services and goods we needed. Nicole made the process of buying and selling easy and fun. I can't say enough good things about this woman! Hands down the best realtor! Everything that needed to get done got done in a timely manner. From beginning to end, communication was never lacking. Kept me up to date on everything! I have now purchased and sold a home with Nicole as my realtor and wouldn't think twice about doing either again! Our home did not sell quickly, which was very frustrating. But Nicole worked hard and was tenacious. She is knowledgeable, and yes, we'd recommend her. Nicole made our home buying experience as smooth as possible on her end. She answered all our questions and we truly felt we received a good deal for our home. If ever needed in the future we will call upon her again and recommend her services to our friends and family. Thanks Nicole! For the last 21 years I have been very reluctant to purchase a home. After a long debate with my wife, I decided to buy. Nicole came highly recommended by my friends, and she did not disappoint. From day one, she made this experience much less stressful than I was imagining. She was always quick to respond to our endless questions and after the first showing day, knew exactly what we were looking for even though we didn't. If you are buying a house in Camden do not hesitate to call her. You will be glad you did!! Nicole is a excellent realtor. She pays close attention to details and you feel as if you are her only clients. She listens, she is very knowledgeable regarding homes, construction issues, and the area. I can honestly say that this was the best experience we have ever had with a realtor and this is the 5th home we have purchased. We recently used Nicole as a buyer's agent to purchase a new house in St Marys. The house was a spec house already under construction and needed some customization to make it work for us. Nicole was MOST helpful during the entire process. Her knowledge of construction and the building process was what we needed to make us comfortable in negotiating the changes/price/contract. We felt like Nicole was firmly in charge and had our backs. While we cannot review Nicole one way or another with respect to her listing agent abilities, we strongly recommend her as a buyer's agent in extreme Southeast Georgia. She was simply fabulous for us! I really appreciate how she went out of her way to find us the home of our Dream and Home ?? thank we would be able to one day we can retire and she stayed right within our budget. I would Definitely recommend her to anyone. Awesome Realtor!!! Nicole did an amazing job of selling our house! She was very responsive to all of our questions and went above and beyond the call of duty in order to get our house sold quickly and to sell it at full asking price. Best Realtor in our area with out a doubt. Sold our home one week after listing it! Could not be happier with the service we received from Nicole. The communication skills, process expertise, responsiveness and local knowledge of Nicole are second to none. Nicole was very knowledgeable about the whole process. She is very professional and highly recommended to all who are buying homes! Thank you Nicole for everything! Nicole is concerned with the people she services first and foremost. Great experiences for both buyer and seller is a natural result of her people focused approach to doing business. Nicole is an amazing, easy-going, super fun person to work with! Her knowledge of the market and genuine interest in our needs & wants made buying our first home a fantastic experience. Nicole was patient, extremely knowledgeable, very attentive, and offered sound advice throughout every phase of the home-buying process. We couldn't be happier with our purchase or with the service we received from her! We would & most certainly will recommend Nicole Readdick to others! Nicole had great communication and promptly addressed all issues making the selling of my home very easy. My home had been listed with another realtor with zero offers in 90 days. Nicole stepped in prepared our house for showing and my house had an offer and sold on the first day back on the market. Highly recommend her. Nicole was wonderful to work with. She is very trustworthy and hard-working. She was always available and eager to assist with any question or situation we encountered. Can't say enough great things about her. Would recommend her for all Real Estate needs. As a realestate investor I have worked with many Realestate agents. Nicole was far and above the best I have ever worked with. She never failed to go the extra mile to help the listing, showings and sale of my property. I wish I could use her on all my property buys and sells. I have only 6 words for Nicole: Thank you! thank you! thank you! Yet another 5 star for Nicole. She first helped me buy a home when moving to Camden and then helped sell the home when moving out. Her advice and knowledge is wonderful and ignore at your own expense. Her professionalism is unparalleled and she never forgets her prior customers. Even after all these years she still has the same level of enthusiasm helping us sell as she did when she helped us buy. Do yourselves a favor and use her. NICOLE WAS THE BEST REALTOR I COULD HAVE BEEN BLESSED WITH. NOT ONLY DID SHE WORK WITH ME AROUND MY WORK SCHEDULE (7AM-5PM) WHICH MEANT SHOWINGS SOMETIMES AFTER 6:30 IN THE EVENING, BUT SHE ALSO HELPED ME WHEN MY LENDERS WERE DRAGGING THEIR FEET. I WENT INTO THIS PROCESS NOT KNOWING MUCH ABOUT THE IN'S AND OUT'S OF BUYING A HOME, AND SHE MADE SURE TO HELP ME UNDERSTAND ANYTHING THAT CONFUSED ME. I WILL/DO HIGHLY RECOMMEND ANYONE IN HER SERVICE AREA TO CONTACT HER, YOU WILL NOT BE DISAPPOINTED. We can't really say enough about Nicole! She absolutely knows her business. Going in, my wife and I wanted clear, concise direction on what to do to get the most out of our sale, things to consider, etc.. and Nicole stepped right up and hit the ball out of the park. She gave great direction, provided excellent and very prompt communication every step of the way, got our home listed and sold quickly, without compromising in the negotiations with the buyer. Every time I asked a question, she had the correct answer, contact information, etc... almost before I could finish asking the questions. It was quite a wonderful experience the entire time. I would recommend her to anyone! Nicole Readdick is the best in town! Any time we had a question or concern, she was right there taking care of things! We never had to wait around for her to respond to an email, text, or phone call. She was always 100% on top of things. She gave us her honest opinion on homes we looked at, and we really appreciated that! If you’re looking for the most knowledgeable agent in town, look no further than Nicole Readdick! As long as we live here, we will never use any other agent. And we will refer her to everyone we know! Nicole is very pleasant and easy with whom to work. Very responsive to questions and concerns. She is very professional. I highly recommend her as a realtor! Nicole was very knowledgeable about the Camden area and recommending homes/locations, and even offering advice on building a home (as we briefly considered this option). She always made herself available when we were interested in seeing a home. Nicole also gave us very helpful advice regarding offers and negotiating with sellers to be sure the buyer and seller feel they are getting a fair deal. She made the whole home-buying process so much easier and less stressful! Nicole helped me a lot from the very beginning, and all the way to closing. She understood what I was looking for (Starter Home) and she was very knowledgeable in the process. When my wife and I decided to list our home for sell, we talked with several of our friends. The one person many of them recommended was Nicole Readdick. We contacted her and decided to list our home with her. She explained to us the entire selling process and what the dollar amount was that we needed to list it for. Of course, we thought we needed to list it for more. After several failed offers and us lowering our asking price, we finally agreed on an offer that was within about a thousand dollars or so of what Ms. Nicole originally told us to list it for! 1. Listen to what she explains to you. 2. Try to agree with her regarding "your" selling price. 3. Do the minor "touch-ups" she mentions that you should do. 5. You will be completely satisfied! "Two happy "new" homeowners ! Nicole helped us buy and sell a number of houses in the past 5 years. She is extremely knowledgeable in all areas of the buying and selling process. She returned calls and texts promptly. Nicole knows the ins and outs of buying and selling. I would strongly recommend Nicole to anyone looking to buy or sell their home. So very professional and understanding of our needs. Nicole was always there for us with answers to our questions. 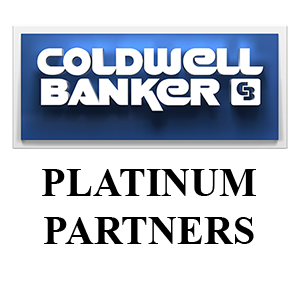 She is an asset to Coldwell Banker and is a great real estate agent, whom I will highly recommend. Nicole really went to bat for us when we were experiencing some issues with the mortgage company. Thankfully the issues were resolved and may not of been if it was not for Nicole's intervention. She also demonstrated quick responsiveness to our questions and concerns. She was very professional and if we had to do it all again we would choose Nicole. You can tell she loves what she does! Nicole Readdick is an exceptional real estate agent! She's knowledgeable, professional, responsive, and a fabulous person to deal with. The sale of my house had a few unique twists and turns, and she handled everything with such grace and expertise. I couldn't be more pleased! Nicole was most helpful in finding us the right property/house. Her knowledge of the area and information she shared were invaluable. Helped with getting set up information and contacts needed for a smooth transition. She is most personable, impressive , responsive and one I would highly recommend to others. Her local knowledge from eateries to utilities was most helpful and appreciated. Accolades to Nicole on a job well done....................thank you! Nicole was efficient and effective in selling our home. She helped us with all decisions, and she gave her honest and professional opinion at all times. Nicole was awesome! She was extremely helpful when my husband was deployed in selling our home and buying our new one! She was there every step of the way and always answered questions as well as calming me when I started losing my mind! I'd recommend her to everyone! There is not a better realtor in the area. Being military and moving across country is struggle enough, but buying a house across country is even harder. Nicole went above and beyond from us! She found us the perfect house, handled every minor detail and just really made this entire process run smoothly. Working with her has been an absolute dream, and I highly recommend her for any real estate needs. I would recommend Nicole to anyone with a need to buy or sale a home. Nicole did an outstanding job with the sale of my son's home. My son passed away, his home was in Ga., I live in Fl. Nicole took care of everything concerning the house. She was very thoughtful considering the circumstances. Nicole and her team did an outstanding job for us! This was a difficult task for us given the house was from a family member's estate but Nicole was very positive and sympathetic to our needs. She started out on day one with a great marketing plan and end the process with a sale at the price we had hoped to get. Her knowledge of the area and the real estate market in Kingsland was most excellent. She and her staff where most attentive to our needs and a question never went unanswered. We would choose Nicole again with NO hesitation. This wonderful young lady can sell water to a whale. Extremely professional, helpful, and personable. My wife and I truly enjoyed working with her and her team. Thank you again Nicole and when asked you're our first reference for a realtor. Nicole is very professional and sold our home in a short period of time. She kept us informed of everything throughout the process. I highly recommend using her services to buy or sell a home. Ms. Nicole is a top notch agent. Very knowledgeable about the communities in the area, the homes and building styles. Her knowledge and experience in the market helped me get the best possible deal I could on a lovely home. Her networking abilities made for an easy transaction. The level of professionalism was well beyond expectations. If you want an agent that goes above and beyond for you, then this is the woman for the job. Excellent job! Thank you, Nicole for all the help, advice, and guidance. Nicole provided timely feedback on showings and was able to secure a contract within the first month of listing. A true professional! Loved Nicole as our realtor! She helped us find the right home for us, she always answered any questions we had. She's wonderful with working around your schedule. Highly recommendable! Nicole was very knowledgeable about all things Real Estate. She answered all our questions quickly as we prepared for the showing process. She gave us a to do list before we put the house up for sale. We completed these and the FOR SALE sign went up. She was quick to give us feed back on how each potential buyer felt after each showing. She helped us price our house fairly ,it sold in 76 days! She far exceeded our expectations of a real estate broker. We highly recommended Nicole as an expert real estate broker! SUPER to work with and excellent advocate for someone buying a home. Fair and trustworthy negotiator. Almost would sale so we could buy again. She is very responsive and always puts customer first! Thanks Nicole! She is great ! She was available for any questions I had no matter the time or day. She always had my best interest in mind . Made my buying experience a great one . I will definitely be using her for any house I get in the future . Simply the best! Nicole was very helpful, knowledgeable, very understanding on what we needed and wanting on selling our home. I would highly recommend her to anyone that is selling or buying a home. Thanks again for all your help and understanding Nicole. We can not say enough about Nicole's professionalism and level of service. Selling a home while half way around the world was a stressful ordeal until we were lucky enough to find Nicole. Words cannot express our gratitude. Nicole is very personable and professional. She stuck with us for four plus years in our search for a home in St Marys. We were lucky to find her and very pleased with her assistance. We highly recommend her if you are selling or buying a home. Nicole is a great agent to help you find and purchase the home of your dreams. She listens to what you are looking for and works tirelessly to find it and close a deal that works for you. She is an honest, hard working woman, who truly has your best interest as her main focus.